Major market challenges may be driving you to rethink your business and care-delivery models. With the shift from fee-for-service to value-based care, admission penalties requiring more proactive and preventive care capabilities, and increasing healthcare costs, many hospitals are turning to telemedicine as a game-changing solution. Telemedicine is the next frontier in leveraging technology to extend quality care to patients. This innovative care-delivery model allows hospitals to provide more cost-effective hospital medicine service while maintaining care quality, documentation compliance, and patient satisfaction. Our proprietary Telemedicine Maturity Model measures your hospital’s readiness to implement telemedicine services. From initial market evaluation to multi-service implementation, we help our clients establish or accelerate telehealth services for optimal business success. To get started, our Consulting Services Team will help you develop an overall telemedicine strategy that is customized to your hospital with prioritized service lines for telemedicine implementation. 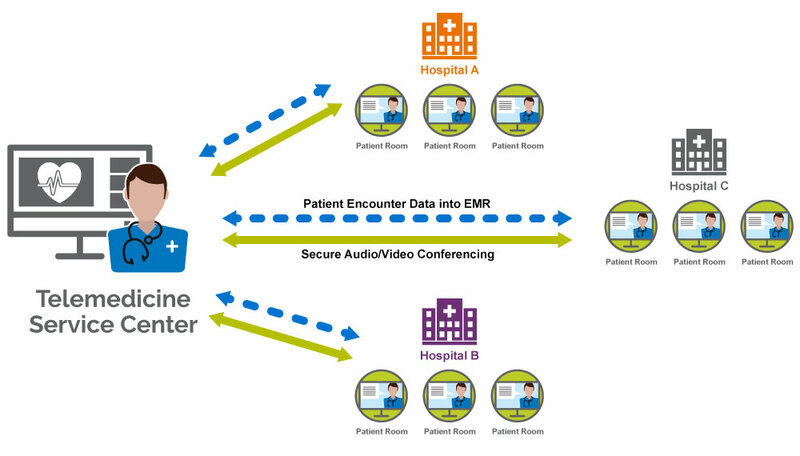 Wondering how you could implement a telemedicine solution in your hospital? Contact us to discuss your growth, cost, and quality goals with our team of experts.